SAINT LOUIS, MO – Systematic Consulting Group (SCG) today announced it has been awarded an Information Technology Schedule 70 contract by the U.S. General Services Administration (GSA), the procurement arm of the federal government. The five-year contract certifies SCG as an Industry Partner and allows federal customers to efficiently purchase a wide range of SCG products and services. The GSA establishes long-term, government-wide contracts with commercial vendors to streamline and standardize the process of procuring products and services for the entire federal government. SCG’s inclusion as a GSA Schedule 70 vendor enables all government agencies to obtain software products, support, training, and consulting services at approved pricing and with license terms from a trusted vendor. 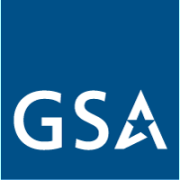 The GSA Schedule 70 award is the culmination of a rigorous process in which the GSA carefully evaluates companies to determine their proficiency and suitability for providing products and/or services to the federal government. The assessment covers an array of a corporation’s capabilities, including organizational structure, performance history, customer satisfaction, and other criteria. Federal, State, and local agencies can obtain information about SCG’s GSA Schedule 70 contract services on the GSA Advantage web site at: http://www.gsaadvantage.gov (search for Contract Number: GS-35F-472CA) or by contacting SCG directly at 1-877-850-1960. SCG services are offered under the Special Item Number (SIN) 132-51, Information Technology Professional Services effective August 19, 2015 through August 18, 2020. Systematic Consulting Group (SCG), a Missouri corporation, offers IT consulting services across a wide range of technologies including custom LOB applications, SQL and NoSQL database architecture and access, Web Technologies, System Integration and Migration with agile process. For additional information, visit https://systematicgroup.com/government. General Services Administration (GSA) is a federal agency that helps government agencies find and purchase products and services for their workplace. Their goal is to provide access to efficient agency solutions for the best value. More information is available at http://www.gsa.gov. Systematic Consulting Group (SCG) today announced its participation in the Open Interconnect Consortium (OIC), a group of industry leaders from a broad range of markets working together to enable the Internet of Things (“IoT”). SCG, a technology consulting and design firm will be working with other member organizations to build a framework for secure and interoperable communications using existing and new open Web standards for the billions of devices and APIs set to fuel the IoT. The OIC’s membership roster includes over 80 participants to date. Other key organizations include Cisco, GE Software, Intel, Samsung, IBM, National Instruments, and Siemens. “The OIC’s continued success in adding leading technology companies to our organization highlights the industry’s commitment to ensuring interoperability of the billions of devices,” said Mike Richmond, executive director at the Open Interconnect Consortium. For additional information on the Open Interconnect Consortium, visit http://openinterconnect.org. Systematic Consulting Group (SCG), a Missouri corporation, offers technology consulting and design services including software development, hardware design, and web design and development. SCG’s unique blend of services and capabilities has positioned them as a leader in the development and design of IoT solutions. For additional information, visit http://systematigroup.com. The Open Interconnect Consortium, a Delaware non-profit corporation, was founded by leading technology companies with the goal of defining the connectivity requirements and ensuring interoperability of the billions of devices that will make up the emerging Internet of Things (IoT).